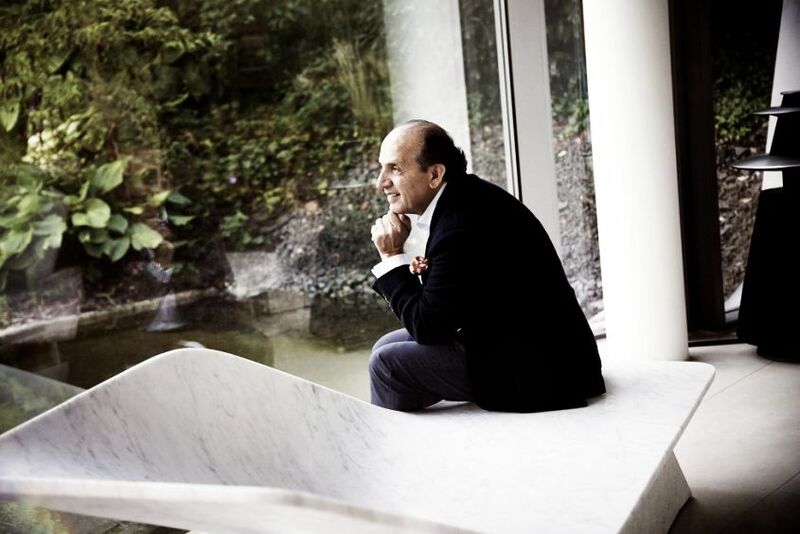 For almost 50 years, DRAENERT is renowned as a dominant brand for international furniture designs. The company has successfully, in collaboration with top architects made appealing furniture, keeping the contemporary spirit and modern standards intact. 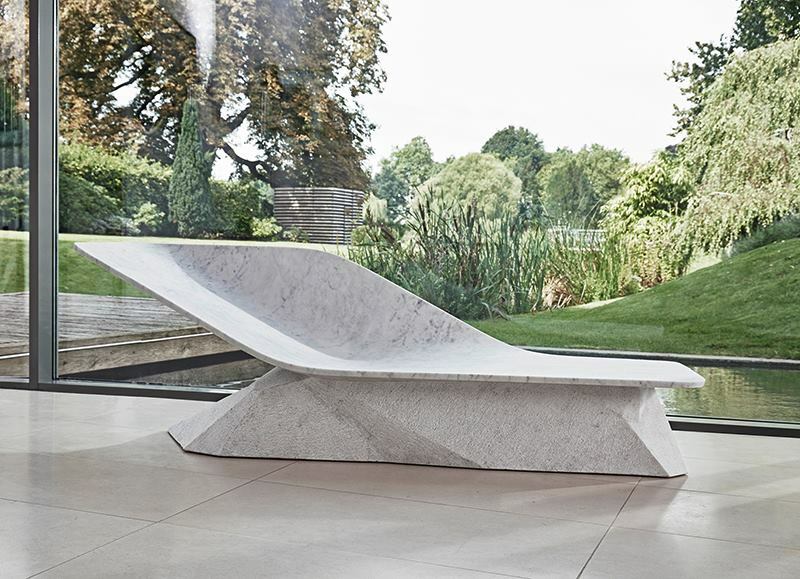 And, to honor that, Hadi Teherani – internationally acclaimed German architect and designer, has created The “Marble Wing” art piece, which is a limited edition marble chaise lounge. The designer seat was unveiled at IMM Cologne 2018. Hadi’s designs are exquisite, and we can’t deny that there’s always a certain uniqueness about his creations that defiantly gains attention. Similarly, this lounger is no exception. 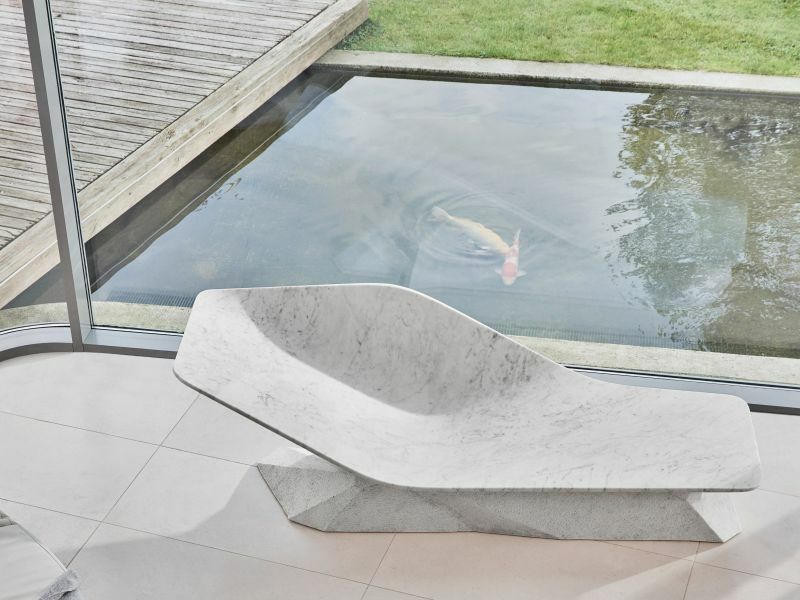 Who could have thought that a single stone rock can be tamed into a chaise lounge? Well, Hadi Teherani knows how to make the best use of a stone block, and sculpt it into a gorgeous piece of designer furniture. 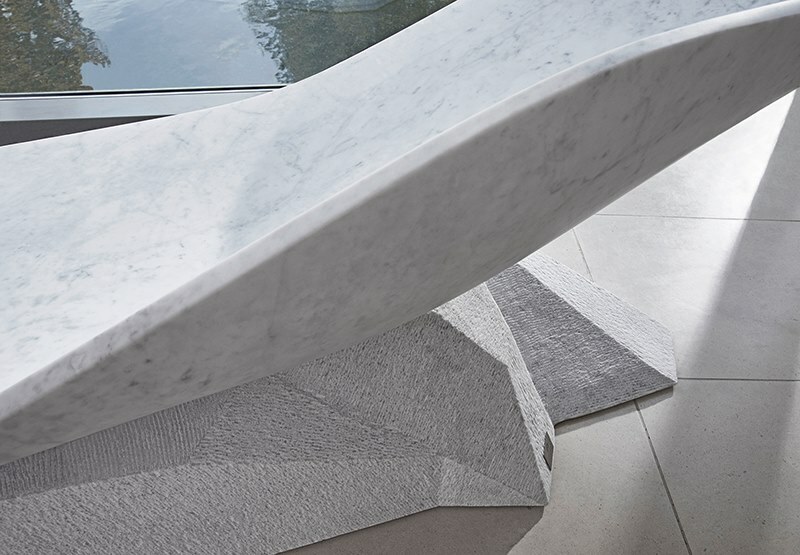 Writing a new chapter in the art edition of DRAENERT, this designer lounge chair is a fine marble piece sculpted into a perfect interpretation of a wing. The mixture of jagged rock adds icing to the cake, making it appear weightless. 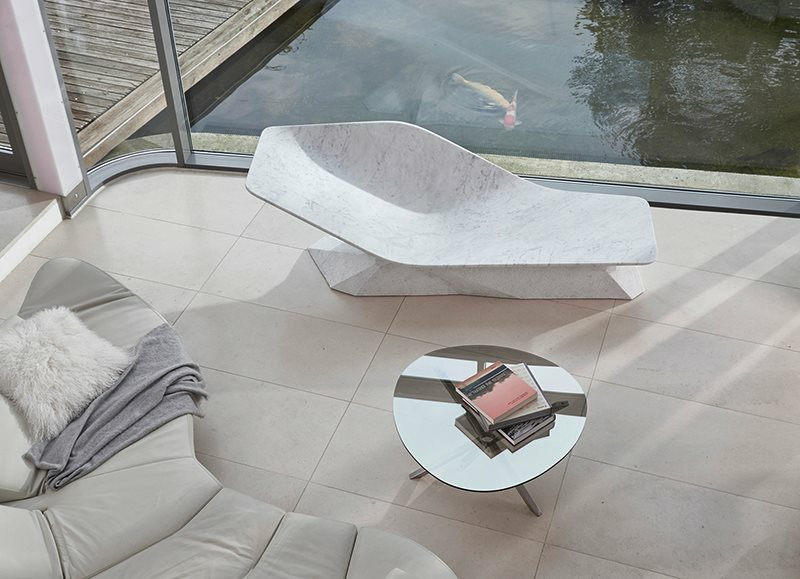 It comes with a solid base, having a raw surface which provides a stunning counterpole, giving the chaise lounge an effortless look with regards to its seating surface. 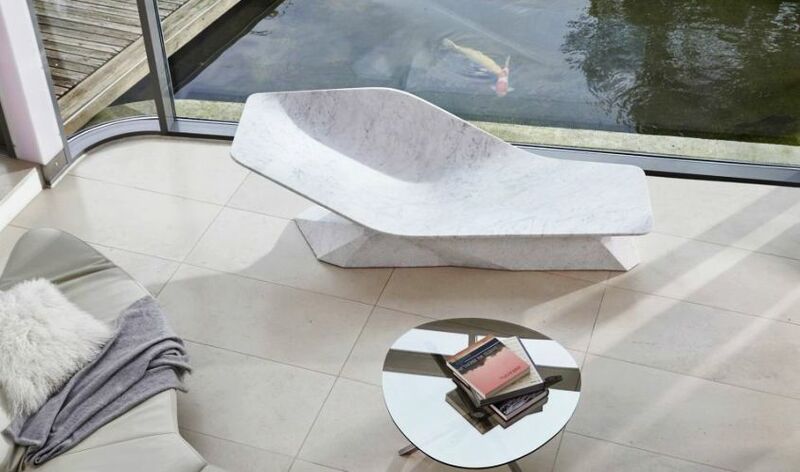 The ‘Marble Wing’ chaise lounge is nothing but a treat to the eyes with a flawless shape and a whimsical design. It is such a piece of furniture which compliments your decor in the best possible way. 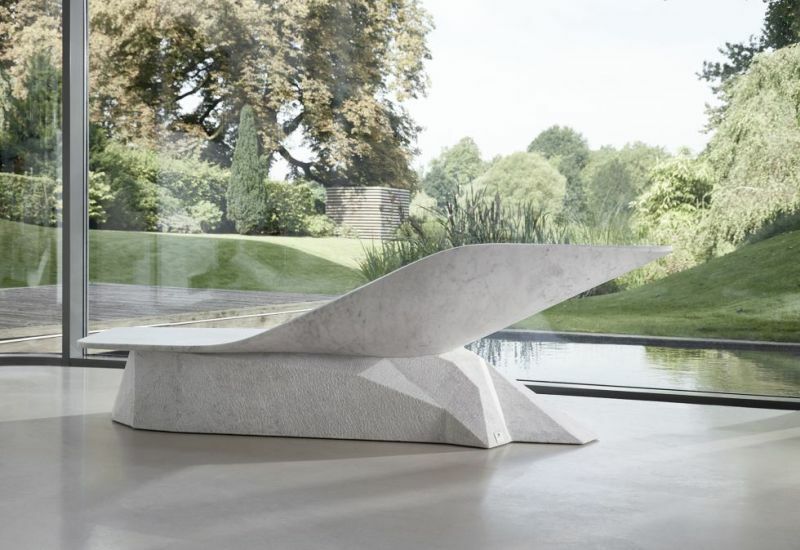 The designer seat is offered in an art edition of 15 copies, each of which is signed by the architect himself. A Gypsy soul, Veeni started her career as a writer four years back and feels it's never too late to be an avid learner. Following her passion for writing, her journey includes hardwork, passion, and to be fearless in the pursuit of what puts her heart on fire.